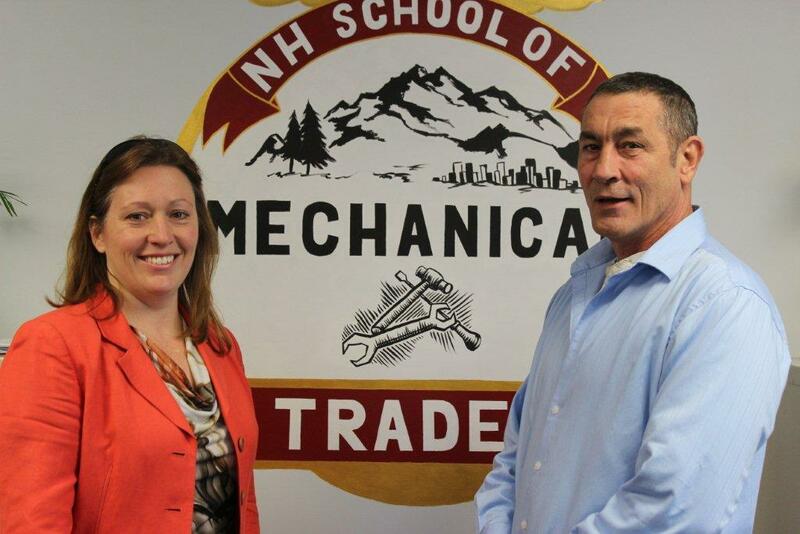 Earlier this month, CRDC closed an $80,000 loan for the NH School of Mechanical Trades. The loan is part of the U.S. SBA stimulus funded Intermediary Lending Pilot Program. This is the second loan from the $1 million that is available under this program. "We are excited that more and more businesses are learning about the ILPP loan program," said Stephen Heavener, CRDC Executive Director. "This new tool allows CRDC to assist businesses, which may be new and poised for strong growth, throughout the State of New Hampshire including large cities such as Manchester, Concord or Nashua." Jennifer Boulanger, CRDC lender worked on the deal with NH School of Mechanical Trades owner Dean Millard. "This company fits well under ILPP guidelines - where small businesses can use the loan proceeds for working capital, real estate, or the acquisition of materials, supplies, equipment," said Boulanger. "The loan will allow my partner John Duff and I to create more training labs and buy new equipment," said Millard. "CRDC made this loan process very easy. They are very organized, and what I liked most is that they spelled out exactly what I needed to do." NH School of Mechanical Trade offers a variety of training and licensing classes in HVAC, Oil & Gas Heat, Electrical, plumbing and OSHA Safety Courses. They also offer a "Ladies Night" which the course is dedicated solely to educating women on many household repair techniques, as well as immediate response actions to common household emergency situations. The school is located at 7 Perimeter Road in Manchester.